Research shows that active learning supports deeper, long-term understanding. The Third Edition text and media package gives students more opportunities to interact with astronomy—both in real life and online. The new edition provides all the resources you need to make it easy to incorporate active learning into the classroom. We’ve made it easier to facilitate active learning. 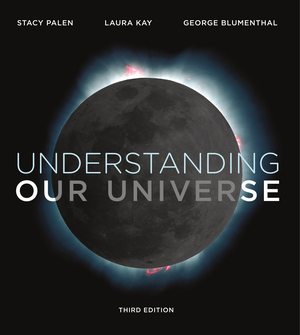 The Third Edition provides more ways than ever for students to “do” astronomy—and for you to teach a more active class. NEW Active Learning figures get students doing astronomy in the text, and they’re also incorporated into Smartwork5. For instructors, a NEW Interactive Instructor’s Guide and a teaching blog from Stacy Palen provide everything needed to bring active learning into the classroom. Plus, Smartwork5 allows you to efficiently track student progress and assess their understanding. Intuitive online homework supports “learning by doing” outside of class. Smartwork5 allows you to easily assess students using interactive, visual content on both tablets and computers. Smartwork5 offers students answer-specific feedback for every problem in the course. You can easily set your course up with a range of pre-made assignments based on pedagogy from the book. Smartwork5 also integrates directly into your campus LMS for single sign-on and grades automatically transfer to the LMS gradebook. A first-of-its-kind video game for introductory astronomy. Our At Play in the Cosmos video game is the ultimate learning by doing tool. It’s the product of close collaboration among experts in three fields: game-based learning, video game design, and teaching introductory astronomy. Designed to span the entire course, this educational game offers students challenging-yet-fun ways to apply their knowledge by completing missions and competing for achievements. Make your classroom more interactive with our workbook. Learning Astronomy by Doing Astronomy activity workbook allows you to make your lecture more interactive. Students can work in groups on the activities, which based on astronomy education research. The workbook can be packaged for free with any Norton astronomy text, making it an excellent value for students.